David Palazón met David Buckley in his studio in South London in 2004. At that time, he was a young talented freelance music composer for film and TV, who as a choirboy performed on Peter Gabriel’s score for Martin Scorsese’s ‘The Last Temptation of Christ’. David was then in need of a brand to wrap and showcase his work to potential clients. David Palazón designed a simple brand applied to basic stationery for him. David Buckley is now working in LA with leading filmmakers including Ridley and Tony Scott, Ben Affleck, Joel Schumacher, Rob Minkoff, Luc Besson, Pierre Morel and Taylor Hackford. His recent film scores include ‘The Town, Book of Dragon’ and ‘The Forbidden Kingdom’. He is also the composer for the hit CBS TV show ‘The Good Wife’, and has recently provided the score for Infinty Ward/Activision’s ‘Call of Duty: Ghosts and the WB/Rocksteady game: Batman, Arkham Knight’. 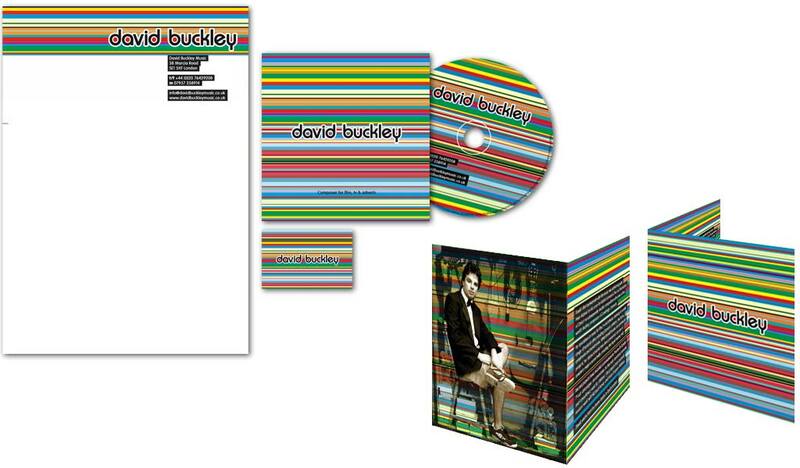 David Buckley was recently honored as a ‘Brit to Watch’ by BAFTA and has been the recipient of 6 BMI Awards. Good on you David!